Are you ready for "tales of espionage, manhunts and high adventure" as Academy Award winner Joseph Schildkraut guides you through stories of Intrigue. Only a year removed from the end of World War 2, the summer of 1946 brought radio listeners "tales of espionage, manhunts and high adventure" with Joseph Schildkraut starring in Intrigue. Eight episodes of the summer sustainer were originally planned but only seven aired. The August 14 episode was supposed to air on the first anniversary of V-J (Victory over Japan) was replaced with a show commemorating the first anniversary. According to The Billboard on August 3, 1946, sales for the summer sustainers was slow and, as a result, the Intrigue series ended after seven episodes. (The final episode was probably never heard because CBS went back to it's regular fall programming. ) This collection of three recordings are all known recording of this rare series to be in circulation. 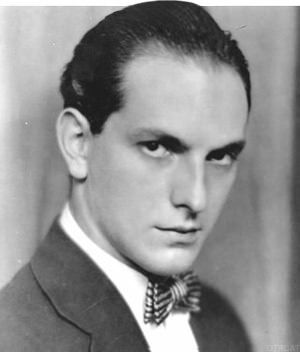 Schildkraut, an Academy Award winning actor, was supposed to star in all eight episodes but ended up appearing in only six (only the radio gods knows why!). Other famous actors to appear on Intrigue included Vincent Price, The show appeared on the CBS network Wednesdays beginning July 24 and ending September 11. Check out these other "Intriguing" shows at OTRCAT.com: ABC Mystery Time, Escape, Suspicion, Cloak and Dagger, Spy Catcher, Counterspy - David Harding!, Dangerous Assignment,, FBI in Peace and War, Epic Casebook, and I was a Communist for the FBI. Be the first to comment on "Intrigue"